For those of you where 2012 is a significant year, deVine’s is offering a small selection for your consideration as futures. With a wet spring affecting flowering and also a wet harvest season, the earlier ripening right bank Merlot based wines are the way to go in this vintage, with Pomerol and St. Emilion being acknowledged as the best appellations. The later ripening Cabernet Sauvignon based left bank wines are very variable, with only the best and richest estates that could afford to do severe selection were able to make fine wines. We’ve chosen mainly right bank wines and some of these are amongst the very best this vintage has to offer, they are also some of a very small list capable of aging for two decades. As usual with our futures program, 75% down is required with the remaining 25% due in 2015 upon arrival. Supply is limited as we bought in small quantities, so best to purchase early for the best selection. The offering closes July 31st at midnight. View our 2012 Bordeaux Futures offering page by clicking here..
Moldova wines are getting some exposure in North American, you see their wines represented in numerous wine fares (as in VinItaly for example) nowadays. Moldova is a grape-cluster-shaped nation of 3.5 million inhabitants, bordering Romania on the west and Ukraine along the north and east, with only a jagged edge of Ukraine separating it from the Black Sea in the south. Declared an independent state in 1991 as part of the dissolution of the Soviet Union – while poor, Moldova has a well-established wine industry with many families having their own recipes and strands of grapes that have been passed down through the generations. As of 2009, Moldova was the 22nd largest wine producing country in the world. Vinaria Purcari is the most respected winery in Moldova. Purcari is both a commune and a producer on the southeastern tip, The winery was formerly the property of the Afono-Zagraf Monastery dating back to 1827. at is located on the same latitude as Burgundy’s Macconnais. 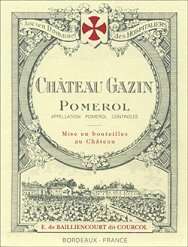 In 1878 at the Paris World Exhibition, the jury awarded the gold medal to a dry, densely colored red which they believed to be a new brand wine from the Bordeaux region. The surprised unveiling was a Purcari wine. The wines have been served and enjoyed by historic figures such as the Russian Emperor Nikolay II, King George V and Queen Victoria. Currently, Queen Elizabeth is said to prefer the Negru de Purcari and ordered the 1990 vintage regularly. Join us on Saturday, June 29th from noon-3pm as Celestial Wine & Spirits present two unique reds from Vinaria Purcari for your sampling pleasure. More info on the free drop-in event and the wines here.. The rosy-hued wine known as Rosé used to only be popular for Valentine’s, but that is changing. Offering a nice transition point for white wine drinkers moving into reds, rosés also showcases the various varietals of reds that are used in making these pinks. They also represent easier access, without all the constraints and traditional formalities of more high profile reds, it symbolizes greater freedom without the snobbery of some. Wonderful for outdoor and deck drinking, most are dry (don’t confuse Rosés with the White Zinfandel which has the same pink color and is quite sweet), delicate, diverse and perfect when drunk cool in the spring and summertime. It is a flexible food pairing wine too. While Provence and Rhone’s are very popular with North Americans, the other countries like Spain and Portugal are also gaining popularity. 104th-St. Merchants Partner with Edmonton Transit! The merchants on 104th-St. have partnered with ETS to encourage the use of public transit when planning visits to our vibrant Downtown neighborhood. Not only is the use of ETS green, it is easy and convenient. Whether you’re in Century Park or Clareview, you are just minutes away by LRT. The Bay/Enterprise Square Station is your gateway to 104th-St.
Merchants on 104th-St. are giving away prizes to visitors of ETS’ Facebook Page. The contest will start Friday on June 7.You can find out more by visiting the ETS website here. Thank you to the following merchants who have supported ETS with some great prizes! On June 8 “Super Saturday”, participating merchants on 104th-St. will offer special discounts to patrons who used public transportation to visit our street. Just show them your bus pass, validated transit ticket or transfer to enjoy great savings. 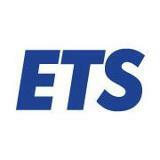 ETS, Our Partner in getting you to your destination! June 8 “Super Saturday” promises to be a fun filled day in Downtown Edmonton. Take ETS to enjoy the Downtown Edmonton Community League’s Pancake Breakfast, the Downtown Edmonton Farmers’ Market, the annual Pride Parade and the 104th-St. Centennial Celebrations. We hope you can joy us for the festivities.